In this workshop, Rosa will lead you on a walking tour of California clays. Participants will learn how to identify and ethically forage for local clays in a variety of landscapes. 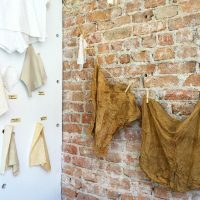 The group will then have the chance to learn how to process the clay into a clay body ready to work with as a natural dye and as a clay for ceramic work. 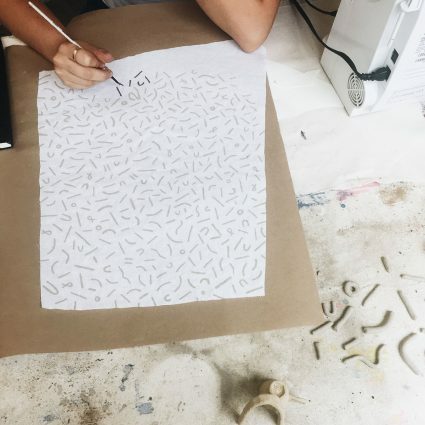 Each participant will have the chance to use clay as a dye and as a paint for surface design and pattern within the class. 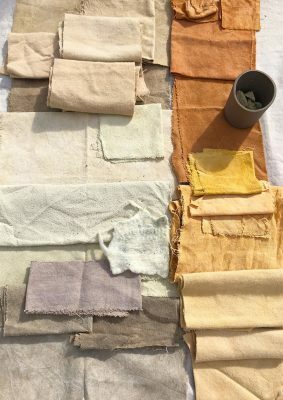 Participants will dye silk and cotton samples in the clay we collect and a selection of other California dug clays, to arrive at a full land-based color palette. The clay foraging portion of the class will require walking for 30 to 40 minutes, but those unable to do so will be able to stay in the classroom during this time. Rosa Novak is an Oakland artist working with local clay and sustainable practices in ceramics. 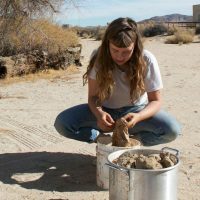 She earned her BFA from the ceramics program at California College of the Arts (CCA) and is a 2017 Windgate Fellow. 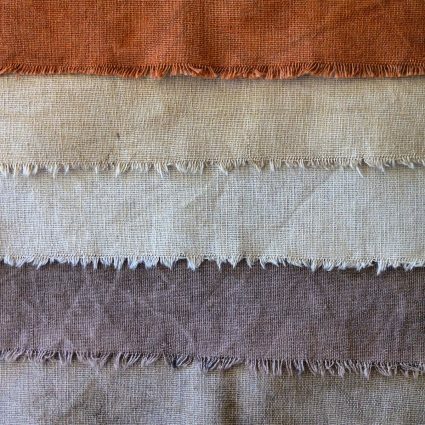 Novak currently has work at The Mill (SF) and Little Paper Planes (SF). She has exhibited at the American Museum of Ceramic Art (LA), Nook Gallery (Oakland) and The Galallery (SF), has spoken at the National Council on Education for the Ceramic Arts, and has done residencies at Textile Arts Center (NY), Watershed Center for the Ceramic Arts (ME) and Penland School of Crafts (NC).